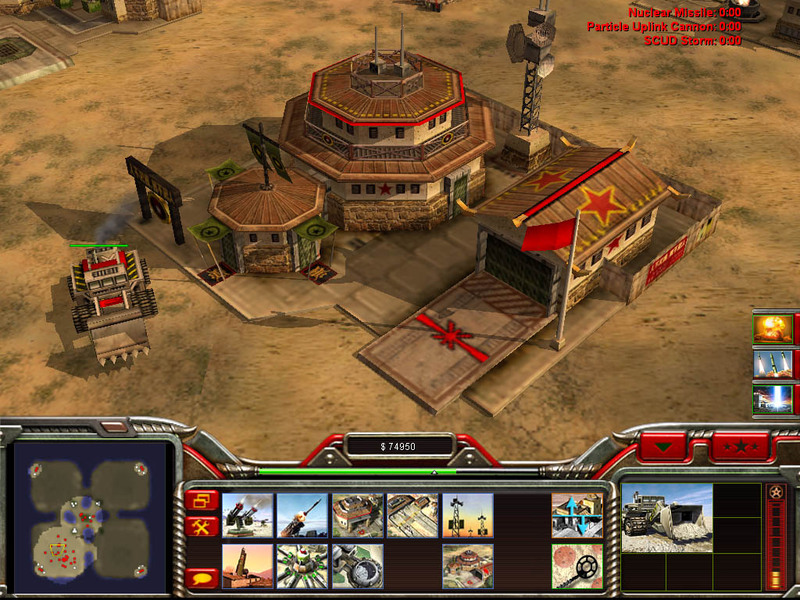 Command and Conquer: Generals – Zero Hour is the expansion pack for the video game Command & Conquer: Generals release on 2003. Zero Hour was released on September 22, 2003 for Microsoft Windows and Mac PC. 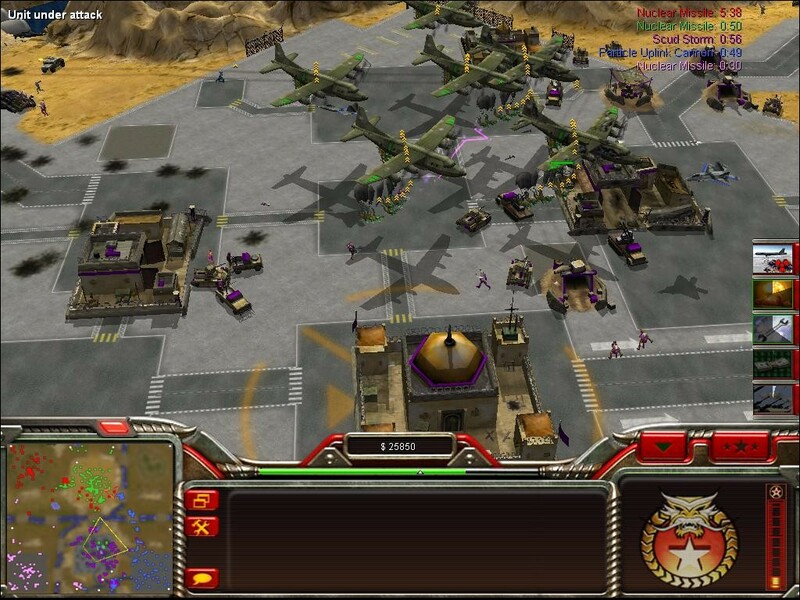 The game added several new abilities and units to each side, and a new game mode called Generals’ Challenge. Admin, the achieve contain only Application, when i click it , it state must run in game directory? how does it work? how to install this sir? Installation guide for this game. Step 1: Mount Generals1.mdf with daemon tools or poweriso. Go to Drive where it is mounted Drive (G: or F:) and click on “setup”. Use this Key – 3832-8938183-6383078-0037 or open generals_sn.txt for more. Step 2: During the installation process you’ll be asked to insert Disc 2 – at this point mount Generals2.mdf. Click OK. NOTE – Install this game in Directory 1. STEP 3: Once you’r done installing Generals mount GeneralsZH1.mdf and install Zero Hour in Directory 2 by clicking on “setup”. You can use generals_sn.txt for serial numbers. STEP 4: Just like before, when asked mount GeneralsZH2.mdf and continue with the installation process. STEP 5: After this is done take the generals-zh-v104en_update file and open it (used WinZip). Once you open it extract the files into the Drive where the installation Directories for the games are. Double click “GeneralsZH-104-english” – the update will be taken care of. STEP 6. Open the generals-zh-v104_crack and extract all the files to Game Directory 2 – this is the one where you installed Zero Hour. When asked select “copy & replace”. STEP 7. Look at STEP 1. Once you’ve mounted Generals1.mdf you will see that there is a “Crack” folder among the files. Copy all the four files in this folder and paste them in Directory 1(this was where you installed C&C Generals). Again – select “copy and replace” when prompted. it is a modification yancule (i dont know if it is official or not). 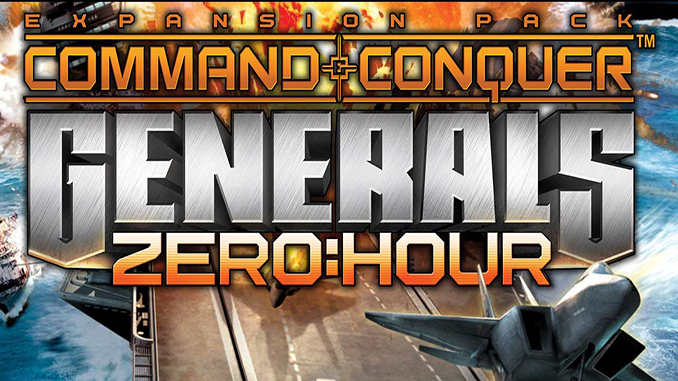 Zero Hour Reborn is a mod for C&C Generals Zero Hour that adds a lot of new content including new generals, units, upgrades and more. admin pls help!! it says installation is incomplete, and unable to lunch the game after my installation. is this compatible in windows 8? Run the game on compatibility mode and use later versions of windows. This download contains the original game but without a crack. * The included crack is for Zero Hour only. but i have it in my programs. c:pragrams files>eagames>………..
6. i wait till around 30 secs. but so sad its just gone and nothing happen. so hoping admin you can help me with this.. thank you very much. and more power. Hi yancule, i really want to help but I dont have windows 8 and cant test this to it. This is simply how the game remembers what options you picked (music volume, brightness and the like) and you can change them once the game is running using the options menu. Now the key bits – firstly, make sure that you have full read/write permissions for the Command and Conquer Generals Data folder – do this by right clicking on the folder, then properties then the security tab and change the permissions for all users. It might also be worth making sure no files are “Read-Only” in that folder. Then change the game’s compatibility mode by right clicking on the game in the start menu, clicking on properties and then the Compatibility tab. I used the “Change settings for all users” button at the bottom and changed to Windows XP (SP3), as well as checking the “Run as administrator box”. If this didnt help you can try to search google.com and maybe you can find tutorials on how to make generals zero hour work on windows 8. I was having the issues of the game not working period, i did what you said in this comment and now my game works perfectly, thank you. hi admin, sorry again to burden you, i tried to patch but it says old file doesn’t exist. then i tried to find Command and Conquer Generals Zero Hour Data but it doesn’t exist in designated folder. i really don’t know why i have none of it. Hi admin . 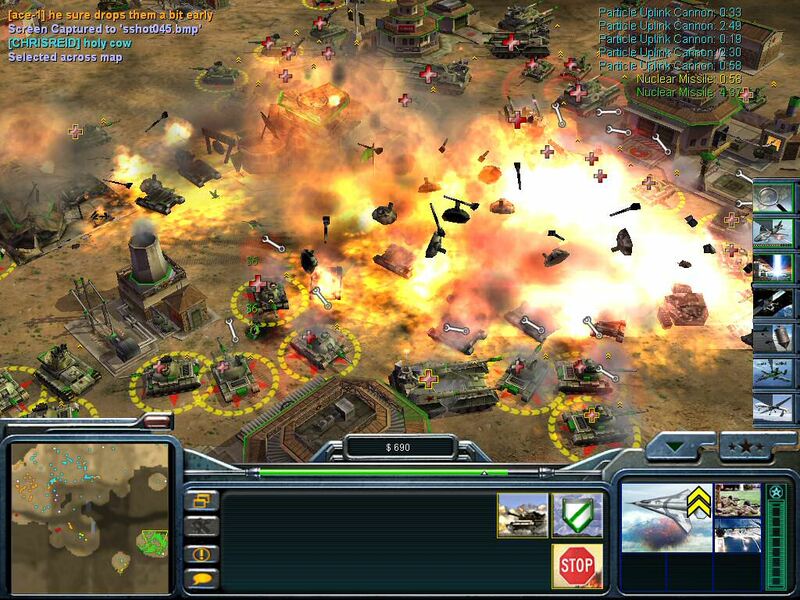 I need your help, ’cause I have the (Generals command and conquer the main one) and it’s not downloaded at your site. so Do i have to delete it ? Do you have crack on that one? not sure if it will work but you can try using this with your current Generals command and conquer. Please read the installation guide we provided in the comments… hope it works for you… happy gaming! Admin I need your help, ’cause I have the (Generals command and conquer the main one) and it’s not downloaded at your site. so Do i have to delete it ? If you can, please upload a video installation. It would be much appreciated. I have done everything you said but now it says you must run the game from its install directory, even thought I am doing exactly that. That’s all we have done when we tested this and it is working… Have you tried running the game as administrator? This is the 2nd time i downloaded a game from yous site, the 1st one is C & C Generals and it works fine in my window 7 home basic but this ZH failed to finish installation and gave me a pop up error. Admin I got error 1335 it say’s that the cabinet file ‘Language.cab’ required for this installation is corrupt and cannot be used. This could indicate a network error, an error reading from the CD-ROM, or a problem with this package. then i got 3 options abort/try again/continue. i tried those 3 and all of them says Internal error 2350 then error 1603 fatal error during installation. No sure about the problem but have you tried installing all the needed software from Microsoft like directx, visual c++ and .net framwork ? first time i will download game here admin, im hoping that i will install the game smoothly on my pc. tnx for the download. Hi everyone, it makes an error for me, says “game.dat stopped functionning” when I launch the game. I did all the steps of the ReadMe. Apparently it could be due to Win 7 pro, what can I do about it ? Hi, for me it does an error “game.dat stopped functionning” when I launch the game. Apparently it could be due to Win 7 pro, what can I do about it ? how to downloadm why i can’t download it?